The Ras/mitogen-activated protein kinase (MAPK) pathway is essential in the regulation of cell cycle, differentiation, growth, cell senescence and apoptosis, all of which are critical to normal development. A class of neurodevelopmental disorders, RASopathies, is caused by germline mutations in genes of the Ras/MAPK pathway. Through the use of whole exome sequencing and targeted sequencing of selected genes in cohorts of panel-negative RASopathy patients, several new genes have been identified. New genes have been identified and include RIT1, SOS2, RASA2, RRAS and SYNGAP1, that likely represent new, albeit rare, causative RASopathy genes. In addition, A2ML1, LZTR1, MYST4, SPRY1 and MAP3K8 may represent new rare genes for RASopathies, but, additional functional studies regarding the mutations are warranted. In addition, recent reports have demonstrated that chromosomal copy number variation in regions encompassing Ras/MAPK pathway genes may be a novel pathogenetic mechanism expanding the RASopathies. The identification of potential new genes and chromosomal copy number variation being associated with the RASopathies is very exciting and broadens our understanding of the biology of Ras signaling and the RASopathies. This article is part of the Topical collection on Clinical Genetics. 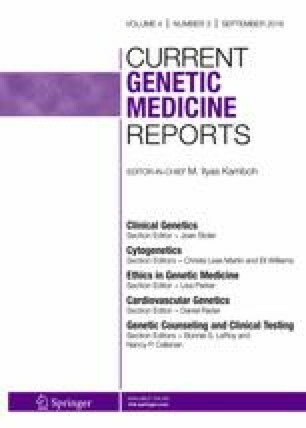 The authors thank patients and families for their ongoing support of research in Genomic Medicine. This work was supported in part by NIH Grant HD048502 (K.A.R.). William E. Tidyman and Katherine A. Rauen declare that they have no conflict of interest.